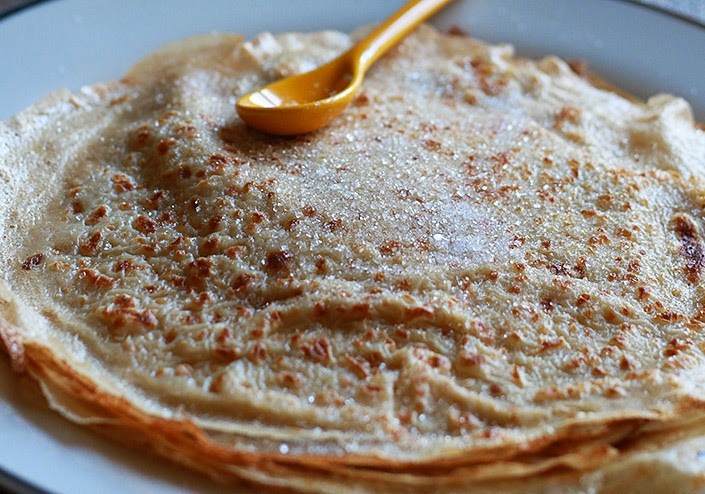 As a good breton woman, I cook a lot of french crepes, for the great pleasure of my maltese friends. In this post, I am sharing two recipes : my classic recipe, with a special ingredient, and a lighter recipe, which I mostly use when I run out of milk. 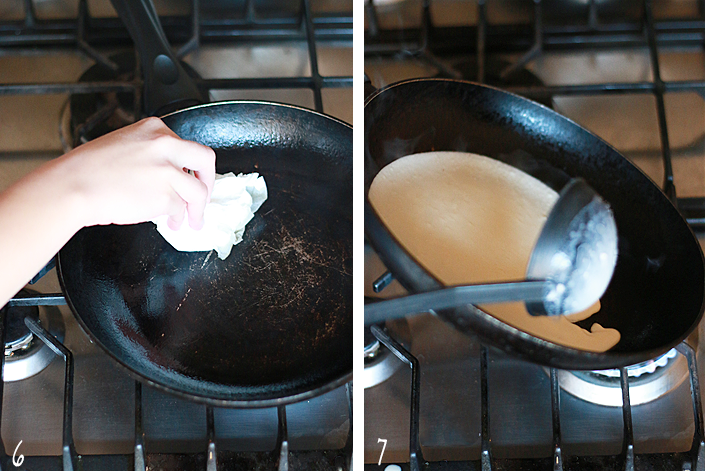 This post has been required for a while now, since I surprised you with my water based crepes in one of my oldest posts. 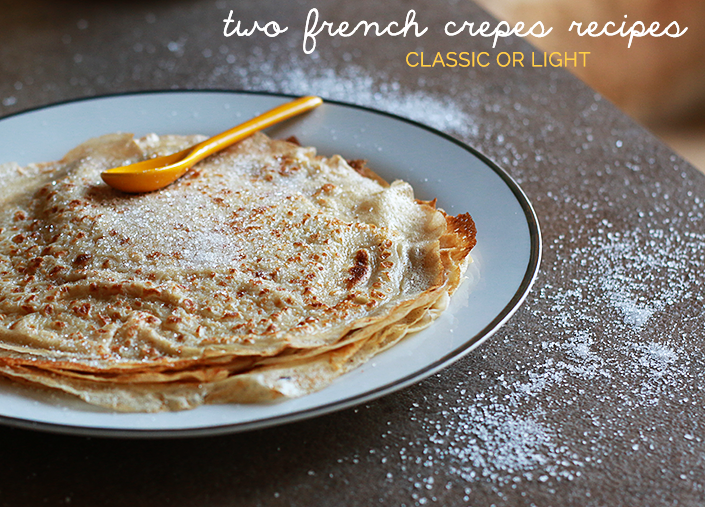 I let you discover these two french crepes recipes below ! 1. Pour 250g of flour in a bowl and make a well in the center. 2. 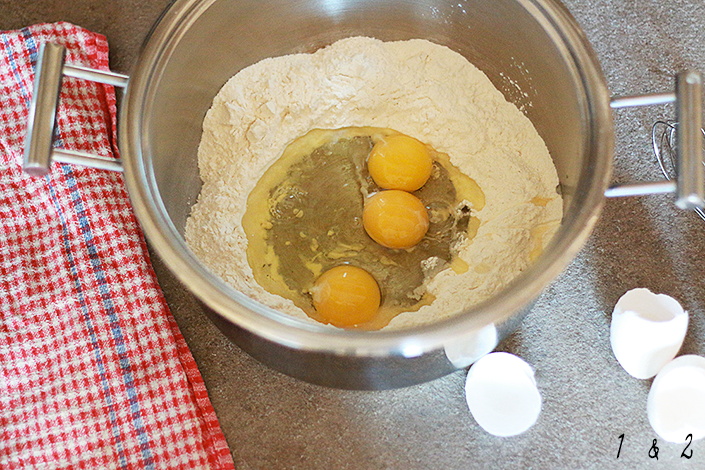 Break the 3 eggs in the middle of the well and slowly incorporate them to the flour with a whip. 3. 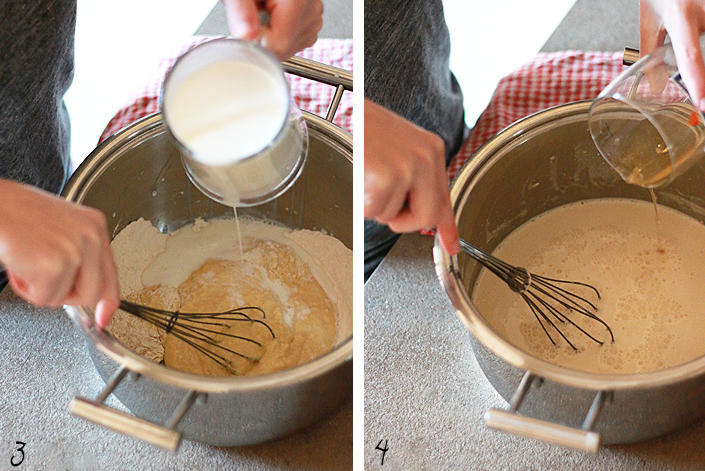 Once the eggs mixed with the flour, gradually add the milk, while mixing. If you pour too much milk, too quickly, you will get a lot of lumps. 4. After you mixed all the ingredients, you should get a smooth, liquide batter. Add the blonde beer, I always do it approximately and I usually use a lot because I love the flavour it gives to the batter. Globally, a small can or bottle. 5. It’s often advised to let the batter rest, for at least one hour. Why ? Because the wheat proteins will inflate and interweave between them, making the batter more supple. Personally, I often pass this step, but the result will be better if you are patient. 6. Then, it’s time to cook your crepes. I use an old pan that I warm up on high heat for one minute. Then, I use a piece of paper towel that I dip in a bit of oil and that I rub on my pan. 7. I warm up the pan for a few additional seconds on high heat, then I put on medium heat and I pour a small ladle of batter while making circular movements with the pan. 8. 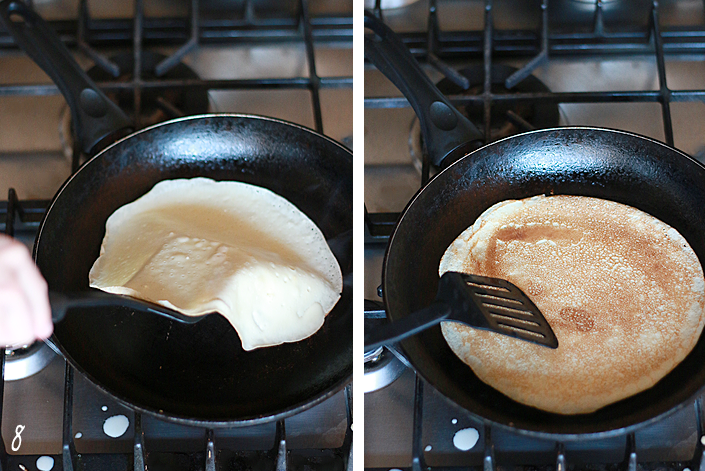 After 30 seconds to 1 min, the edges of the crepe will start to take off the pan. This means that you can turn it over and let it cook for a small additional minute on the other side. 9. Once the crepe ready, put it on a plate and cover it well with aluminium. The steam coming from the crepes will be kept under the aluminium, and will keep them really supple. 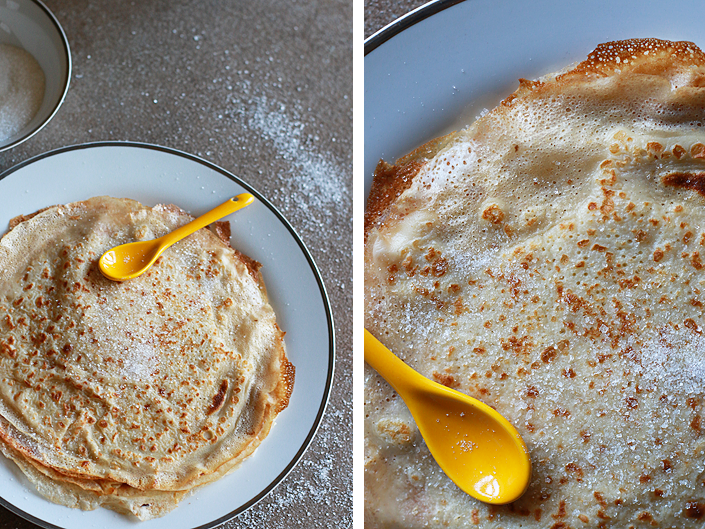 An important step to avoid having a crepe with dry edges. The steps are exactly the same, the milk is just replaced by water, and you don’t have to add beer at the end (but you still can, if you like it !). 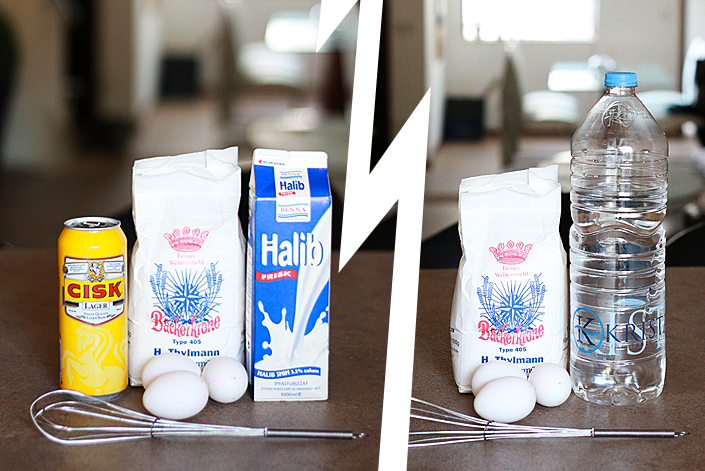 If you have sparkling water, I advise you to use that instead of still water, your crepe will be lighter and airier.